It may a bit cheeky to describe this range of hills as outside Edinburgh given that a chunk of it sits well within the city boundary. 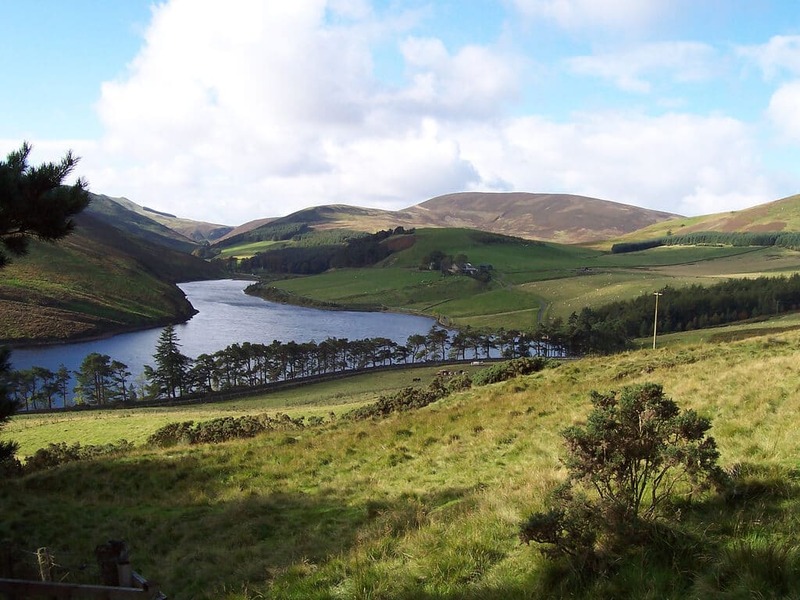 All the same, the Pentlands stretch over 30km away to the south west of the Scottish capital with a number of peaks over 500 metres – the area was designated the Pentlands Regional Park back in 1984. Among the hills you will find an artificial ski slope at Hillend (the Midlothian Snowsports Centre) as well as farms, lochs, a military training zone that has live firing exercises minor wreckage from a Luftwaffe bomber that crashed in 1943 and no end of path to walk. 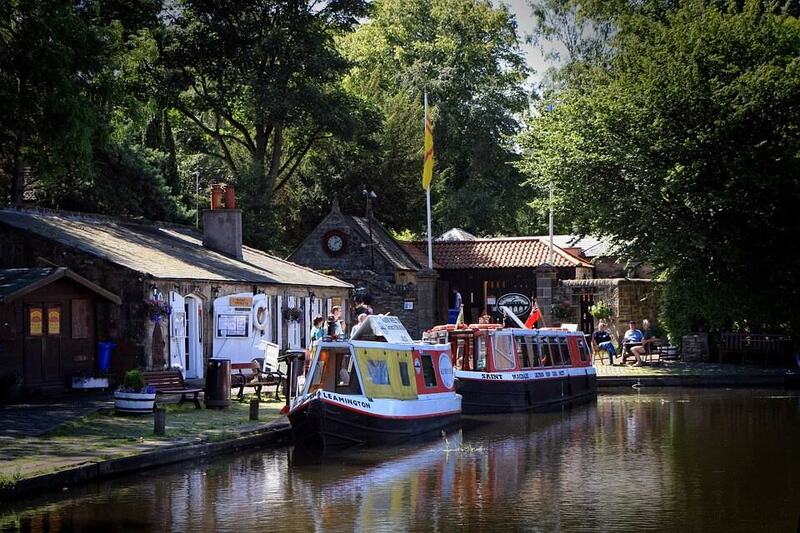 There are two information centres: Flotterstone by the Flotterstone Inn, off the A702 around 5km south of the Edinburgh bypass and Harlaw House by Harlaw Reservoir near Balerno. The gentle way to experience the Pentlands would be to drive or catch a bus from the city centre to Flotterstone, walk 1.5km up minor road to the picturesque Glencorse Reservoir, take in the view, then walk back the way you came, stopping for a drink and some pub grub at the Flotterstone Inn before heading back to the city. 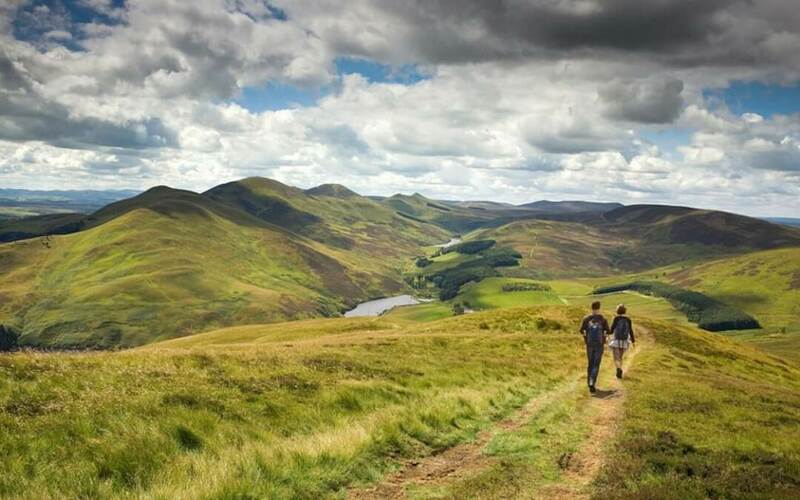 The more adventurous might also want to start at Flotterstone Inn but do a circular walk of 18km taking in some of the hills, including Scald Law, the Pentlands’ highest peak at 579 metres. The usual safety caveats apply: walking in the Scottish hills can be arduous and dangerous. Do not attempt it unless you are reasonably fit, properly kitted out and know what you are doing. 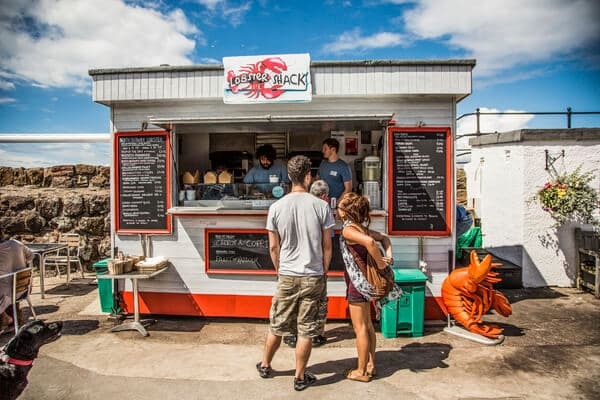 Edinburgh has one beach in Portobello, a suburb with a jolly, seaside resort feel. 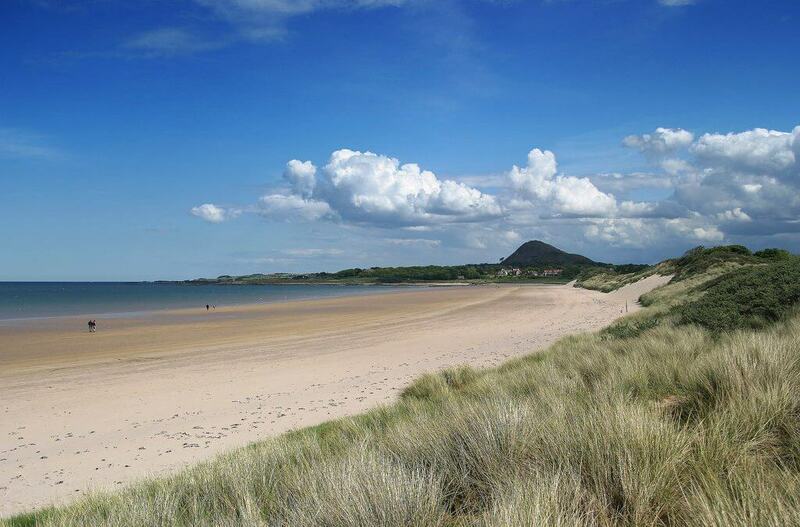 Beyond the city however, in East Lothian, there are much more expansive and attractive beaches. If you have a car they are easy to reach but if you are happy to spend an hour or so on a bus – or significantly less time on a train – public transport will also get you there. Buses from the city centre to Aberlady takes just under an hour for example. A few minutes’ walk east of the village along the A198 there is access to the Aberlady Local Nature Reserve, particularly important for its plants and birds. 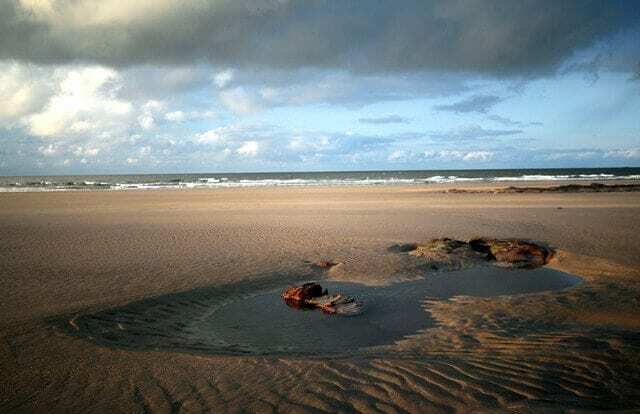 Follow the path round to the sands on the north side of Aberlady Bay then you have beach and headland all the way to Gullane – a walk of approximately 5 km. 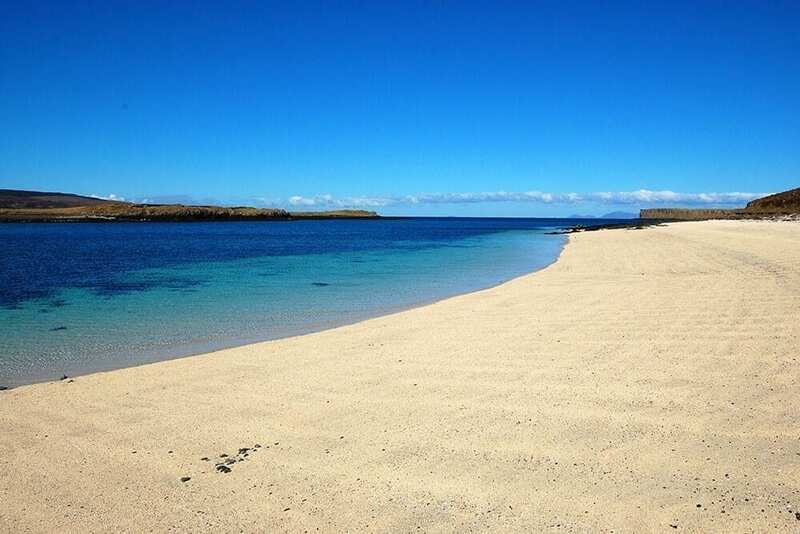 This village has a beautiful sweeping beach, some decent places for food and drinks and a bus service that will take you back to central Edinburgh in around an hour. The ambitious could just keep walking though since the coast is beaches and small bays all the way to the harbour at North Berwick – another 10 km or so away. 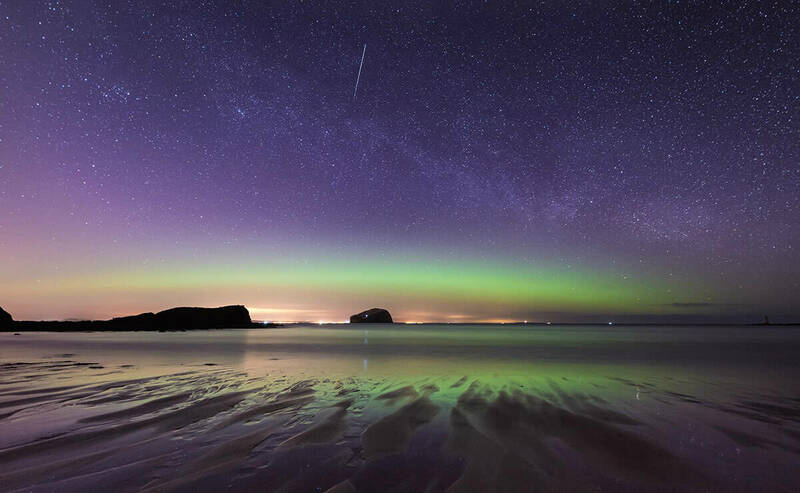 Alternatively, the lazy way to get to North Berwick is ScotRail train from Edinburgh Waverley or Haymarket which it takes less than 35 mins. 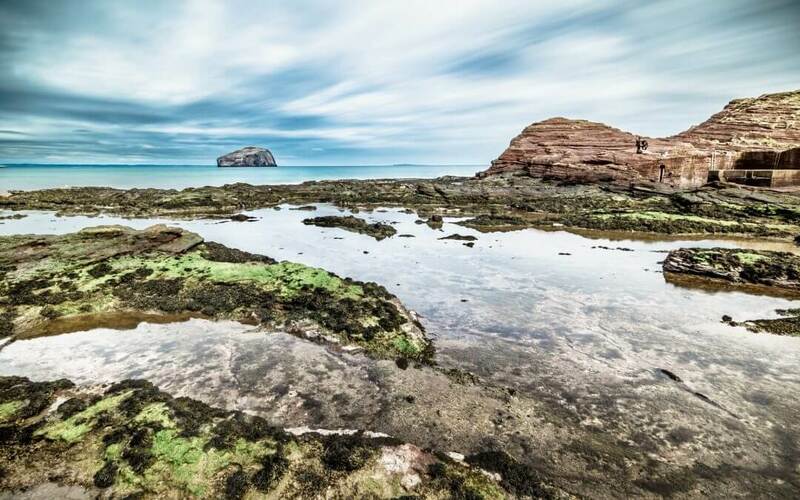 Around 6 km east of North Berwick, past the ruins of Tantallon Castle, Seacliff is a gorgeous stretch of sand, best reached by car, while there is yet more beach at Belhaven Bay on the way to Dunbar, also served by trains from Edinburgh. Inchcolm is an island in the Firth of Forth in Scotland. 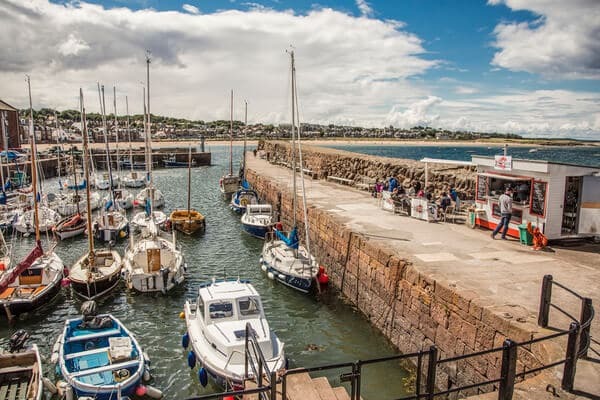 It is located 4 miles east of the Forth Bridge, 1 mile from the Fife coast near Aberdour and just 6 miles from Edinburgh City Centre (Google map link here). The Island is cared for by Historic Scotland and is commonly referred to as the ‘Iona of the East’ due to its similarity to the Island of Iona on the west coast of Scotland. 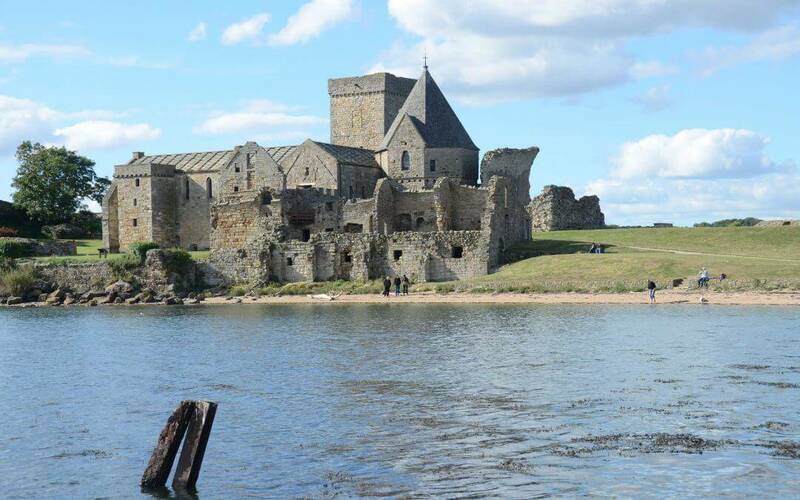 Inchcolm Abbey dates back to the 12th Century and was founded by King David I, after his brother King Alexander I was forced to seek shelter there during a very stormy crossing of the Forth in 1123. The Abbey remains as the best preserved group of monastic buildings in Scotland. 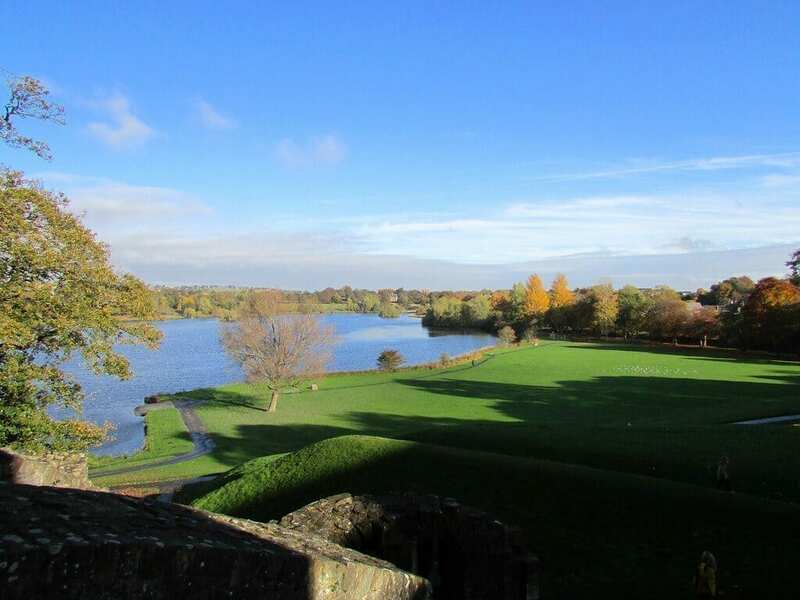 The Abbey and its grounds are all fully open to the public to explore at your leisure and you can even climb up to the top of the tower for spectacular views of the island. 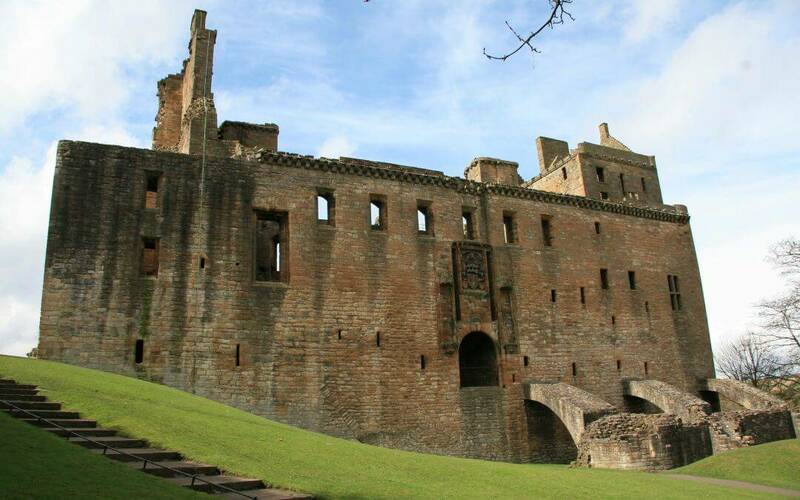 During both the First World War and the Second World War, Inchcolm was fortified, like many of the other islands of the Forth in order to defend Edinburgh-Leith and the naval base at Rosyth. In addition to the battery of guns, 576 Cornwall Works Company, Royal Engineers, built a tunnel around 1916-17, under the hill at the east end of the island. The remains of a NAAFI (Navy, Army and Air Forces Institutes) can also still be found on the island, and is now used as a small shop by Historic Scotland. There are currently two ferry services that operate trips to Inchcolm island, and allow passengers to explore the island. The Maid of the Forth and the Forth Belle both operate from the Hawes Pier in South Queensferry usually between Easter and late October.